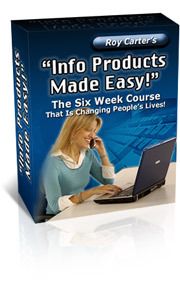 You are here: Home / Make Money Online / How Long Does an eBook Need to Be? As a work at home marketer, you need to understand the main reasons that people purchase eBooks. They buy them for discretion, for convenience, and because they’re readily available at a time when their problem has caused them to go online and seek out a solution. You might be stumped by the question of how long an eBook needs to be. The answer to that question is “as long as it needs to be”. An eBook should last as long as it takes to get the point across or to teach the information. When the information is delivered in full, the eBook is complete – and that may mean it turns out to be 10 pages or 100 pages. You might have seen some eBooks that are sixty or seventy pages long and yet the meat of the eBook only lasts through the first forty pages. The remaining pages are fluff or filler pages just to pad the page count so they can up the price. Don’t do this to your customers because then they walk away feeling ripped off. Customers know the difference between quality and quantity. That’s why you don’t want to pad pages. It’s a waste of your time and the customers’ money. In fact, many consumers have stated that they would have paid hundreds of dollars for a short report they read that was packed with value, compared to a fluff and filler eBook that contributed nothing of value to them. The reason why some online marketers pad eBooks is that they heard somewhere that an eBook should be at least fifty pages minimum. While that is considered to be the standard, it’s not a set in stone rule. An eBook can be any length whatsoever. The most important part of any eBook is what you have on the pages, not the page count. Don’t focus on reaching a certain page number. Focus on the writing – on saying what you have to say with clarity. Remember as you write that although you know what you’re talking about and you may have been an expert for many years in what you’re trying to teach, your readers may be beginners. With that in mind, lay out your eBook content in a step-by-step manner that’s easy for them to grasp. If there’s information that would be nice to add, but doesn’t fit in the exact outline, then add it as a bonus product to the main PDF file.